Could you check back the river with top full house? @JeffGrossPoker did; his opponent had str8 flush! Analysis from @gazelligpoker and @daraokearney of @JeffGrossPoker's amazing check back w/ full house. There were a multitude of exciting hands and finishes in the World Championship of Online Poker on PokerStars, including many shared over players' Twitch streams enabling viewers to sweat the action and contemplate the strategy. 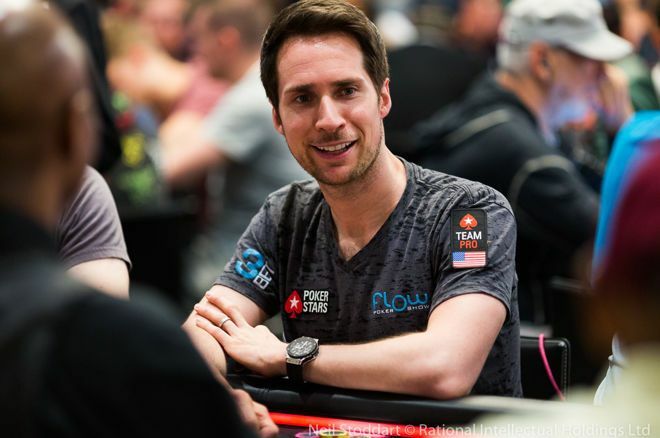 One hand in particular involving Team PokerStars Pro Jeff Gross generated a lot of discussion afterwards, a wild one in which Gross flopped a full house but managed to check back the river after suspecting his opponent held a straight flush — and Gross was right! MTT Poker School has provided a video analysis of the hand, which allows us to see it for ourselves while also delving into the strategy involved. In the video, Gareth James is joined by Dara O'Kearney to provide analysis of the hand and Gross's big river decision. Gross had in the hijack seat and the flop had given him top boat. Then after the turn his opponent in the big blind led for just over 80 percent of the pot and Gross called. The fell on the river to complete, and Gross's opponent checked. Gross ultimately decided not to value bet, and was elated to see his opponent held for the straight flush. how value betting the river would in fact be the recommended play here, despite the result in this one instance.